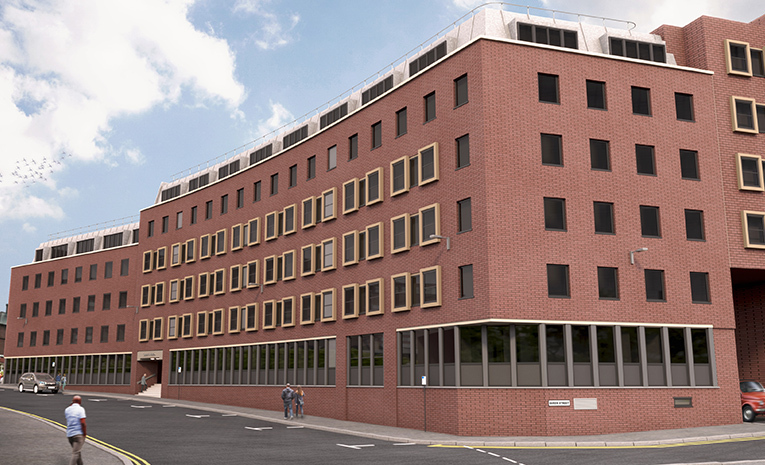 Fresh Invest are happy to bring to market a selection of brand new Sheffield Apartments in the City Centre. These Sheffield Apartments are located in an enviable position to take advantage of the growth being seen in this exciting city. With a whole host of entertainment options available on the doorstep, this is likely to be very popular with local tenants. The Orchard Square Shopping Centre is less than a 5 minute walk from the development offering a large range of shops with cool bars and cafes surrounding it. These particular Sheffield Apartments offer open plan living quarters, along with contemporary fitted kitchens and well designed bathrooms. Residents will not just benefit from the cosmopolitan lifestyle that comes with this central living location. It also makes for great student accommodation with the university of Sheffield and Sheffield Hallam University within a 15 minute walk. With a completion date in the first quarter of 2018, these Sheffield Apartments offer a great degree of security. The developer only requires a 10% deposit on exchange with the balance due on completion. All apartments are finished ready to be moved in to. Located in the middle of the UK Sheffield has plenty to offer all. Known as “The Steel Capital” for it’s previous industrial past and history in steel production, it is the fourth-largest city in the UK. The Steel industry which gave the city it’s name has long since gone, replaced by a number of industries and an ever increasing high-rise skyline to serve them. Industry is not the only draw to the location, as for all of it’s industrial links over a third of the city is located within the Peak District, giving Sheffield the highest ratio of trees per person of any city in Europe. As announced in 2015, the government has committed billions of pounds to the establishment of The Northern Powerhouse to soften the North/South divide. This means, more money towards infrastructure and the economy to expand and create much better links with other neighbouring cities as well as the capital to the south. Sheffield has evolved from it’s industrial heritage into a location focused on innovation and technology. The city is recognised as being at the forefront of a number of growing industries such as, gaming, software and IT. companies like Irwin Mitchell, Go Outdoors and Plusnet all call Sheffield home. Among Sheffields bustling economy there are approximately 52,000 businesses which support 700,000 jobs in total. The city aims to grow it’s private sector to compete in national and global markets. The local economy is worth £30 billion per year and a recent report by the centre for economic and business research found that the city’s economy should grow by another £70m by the end of 2017. At Fresh Invest our focus is to make the buying process as simple as possible for our valued investors. If you are interested in any of our developments, just use the request information section on this webpage. We will send you through the brochure and all the information relating to the investment. Once you have decided which investment is for you, we will guide you through the easy reservation process then hold your hand through the entire conveyancing process.